The speed limit should not be disregarded. 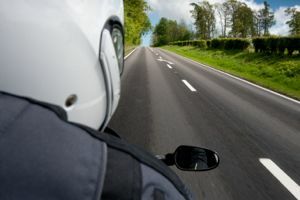 However, most motorcyclists are aware of the handling capability of their machines and, on occasion, it’s necessary for a motorcyclist to accelerate out of trouble. Evidence of speed is important in road traffic accident cases. One of the first questions asked will be in relation to your speed and the applicable speed limit. Even though you were riding within the speed limit, it’s relatively common for witnesses to suggest otherwise. Witnesses often make assumptions based on what they heard, although evidence of speed based on sound alone can be challenged. To enable your case to be fully presented and effectively challenge any speed-related witness evidence against you, an experienced motorcycle accident lawyer will ask for details of your motorcycle, your exhaust system and your gear selection. If speed has played a part in your accident, it’s likely you’ll be found partly to blame. Speeding does not mean you cannot claim but can result in a reduction of the compensation award. To find out how the Courts have approached the issue of speeding, please have a look at the decisions below. Remember, no two cases are the same: your case is unique, the accident circumstances are unique and each case is fact sensitive.